The Food Safety Information Council today released Omnipoll research for Australian Food Safety Week 10 -17 November 2018 that shows one in three Australians are either at risk of getting the potentially fatal Listeria infection themselves or live in a household with someone at risk. A third of these households at risk had never heard or Listeria infection and two in ten of these couldn’t name any of the foods they needed to avoid or cook to prevent Listeria infection. 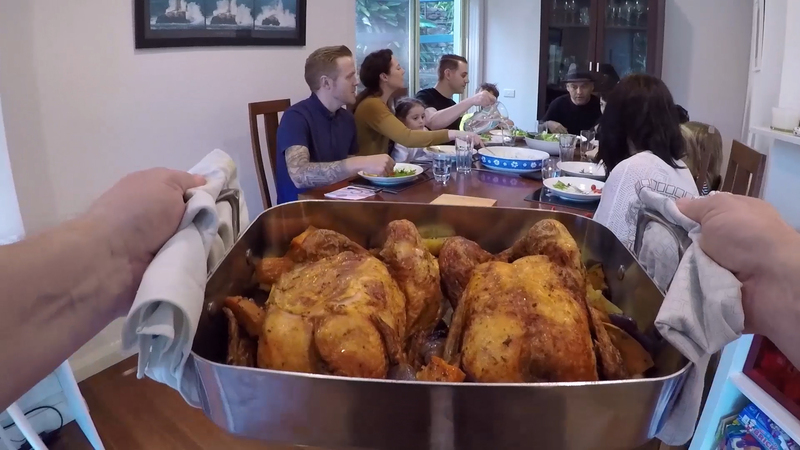 The Food Safety Information Council today released national Omnipoll research that shows one in three Australians are either at risk of getting the potentially fatal Listeria infection themselves or live in a household with someone at risk. Rachelle Williams, FSIC Chair, said that this research shows a third of these people who are at risk, or living with someone at risk, had never heard or Listeria infection and two in ten of these couldn’t name any of the foods they needed to avoid or cook to prevent Listeria infection. 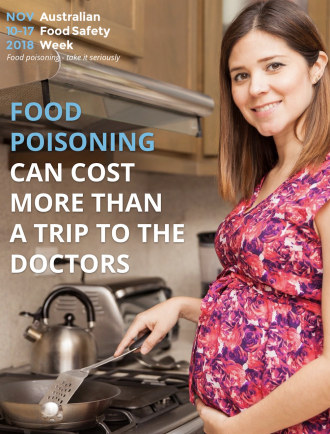 ‘This is a timely reminder that food poisoning isn’t just a minor stomach upset but it should be taken seriously as it can be deadly. The Listeria outbreak linked to Australian rock melons earlier this year resulted in 7 tragic deaths and a miscarriage. This was followed by a recall of imported frozen vegetables which was linked to 47 listeriosis cases and 9 deaths in Europe and 1 death in Australia,’ Ms Williams said. ‘If you’re not sure whether your condition or medication puts you in one of these at risk groups check with your GP on your next visit and follow this advice if you are. You can test your knowledge about Listeria by taking our quiz. ‘Listeria are bacteria that are widely found in the environment so most raw foods are likely to be contaminated. You don’t have to miss out on your favourite foods as Listeria is easily killed by cooking so, for example, you can easily add ham to a pizza, feta to a quiche or smoked salmon to fully cooked scrambled eggs. Just remember that cooked foods can easily become re-contaminated through poor food handling after cooking. For foods that can’t be cooked you can make other choices such as using fresh whole lettuce for salads rather than bagged lettuce. ‘It’s important you maintain a healthy and varied diet if you are pregnant, elderly or immune compromised so we recommend you also talk to your GP or an accredited practicing dietitianabout how to eat well while avoiding foods at risk of Listeria. ‘We greatly appreciate sponsorship for this year’s Australian Food Safety Week from Food Standards Australia New Zealand for our radio announcements and SA Health and Omnipoll for our consumer research and Catercare for our design work. However, following the loss of our operating grant from the Federal Government, our resources have been depleted by running Australian Food Safety Week 2018 so we would love it if you or your family have been affected by food poisoning that you share your story and make a tax deductable donation to us here,’ Ms Williams concluded. 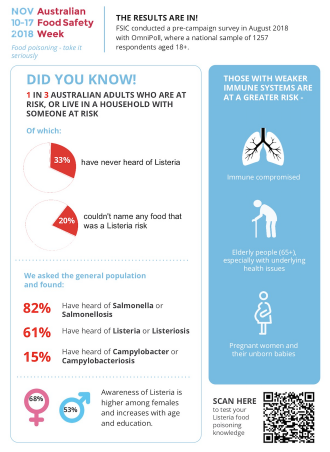 Omnipoll research for Australian Food Safety Week 10 -17 November 2018 that shows that one in three Australians are either at risk of getting the potentially fatal Listeria infection themselves or live in a household with someone at risk. A third of these households at risk had never heard or Listeria infection and two in ten of these couldn’t name any of the foods they needed to avoid or cook to prevent Listeria infection. 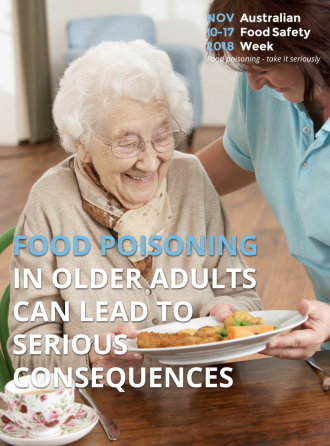 Listeria van be serious for older people (generally considered to be over 65 to 70 years) depending on their state of health and especially if they have an underlying health issue.